Did you think I would go to Chicago and not get an Italian Beef? 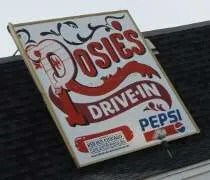 It doesn’t matter how short of a trip it is, there’s a place on every corner, so I will get an Italian Beef eventually. Right before J and I left for Michigan on Sunday afternoon, her mom offered up one more meal. 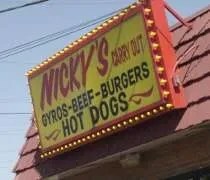 The night before, we were talking about the best burger on the south side when her step dad brought up Pluto’s. 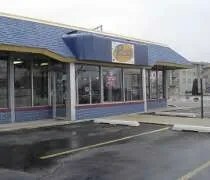 We drive by Pluto’s every time we go to her parents and any place with the word “beef” in the title is appealing to me. J’s parents order from there quite often, so they had a menu at home and the lady working knew her mom by name. 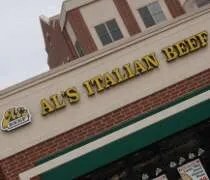 I passed on the burger and went straight for the Italian Beef. 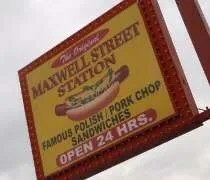 J’s step dad ordered the special which was three hot dogs and three things of fries, so I didn’t have to order fries. J got a homemade chicken fingers which came with fries and a chocolate malt while her mom got a salad. They also got an order of the jalapeno poppers for all of us. I can only take so many cookies. Don’t get me wrong, I love Christmas cookies, but usually by dinner time on Christmas day I’m craving some real food. J and I made it back to her parents in the south suburbs of Chicago and went on a hunt. Surprisingly, there’s not a whole lot open. 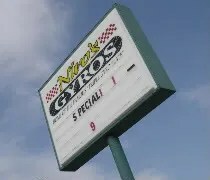 We drove around for ten minutes or so before finding Mr. Gyros open. 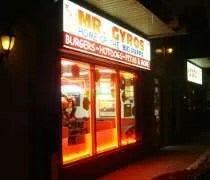 Mr. Gyros is in a small strip mall on Cicero near 108th. Neon signs filled the front window and there signs for their specialty, the “Big Pappa.” J and I went in to find a counter and a small dining room. There were a few other people who had the same idea we. Most of the tables were full and there was even a guy sitting at the bar along the wall.